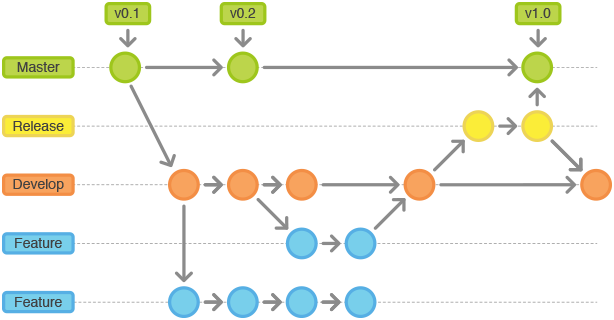 The gitflow workflow defines a strict branching model designed around the project release. 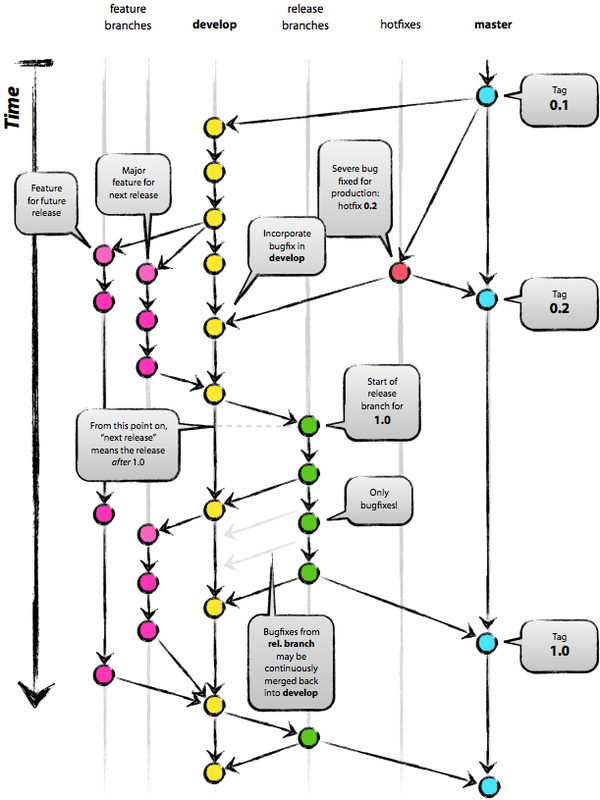 This workflow assigns very specific roles to different branches and defines how and when they should interact. It uses individual branches for preparing, maintaining, and recording releases. This article is based on a article written by Atlassian. Sidenote: origin is the original remote repository, by convention it is the ‘primary’ centralized repository as well. 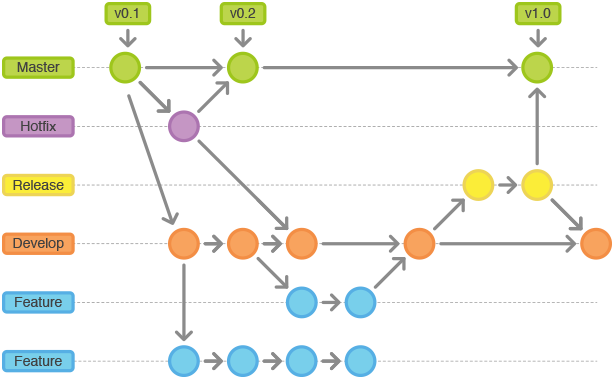 When the develop branch should be released all of the changes should be merged back into master. Therefore, each time when changes are merged back into master, this is a new production release by definition. Feature branches are used to develop new features. The essence of a feature branch is that it exists as long as the feature is in development, but will eventually be merged back into develop. Feature branches typically exist in developer repos only, not in origin.